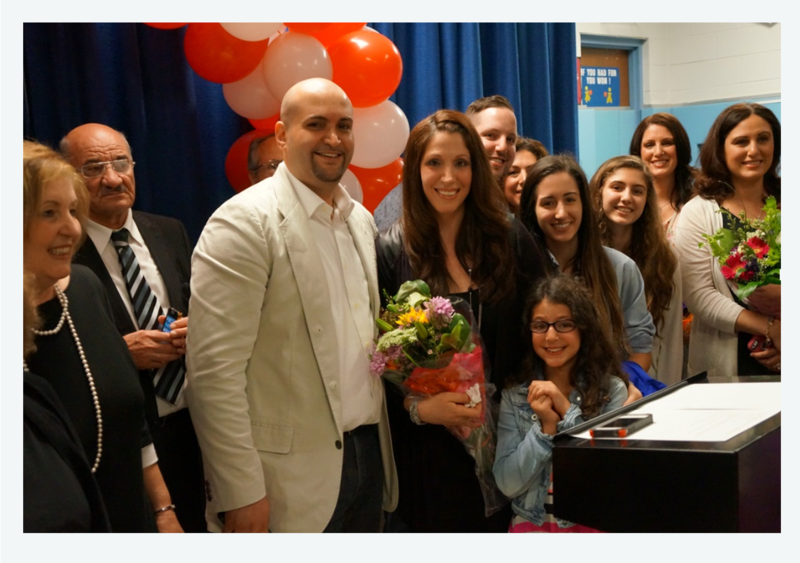 I still get goosebumps remembering the day the 2015 Michigan Teacher of the Year winner was announced. I was sitting in the Keith Elementary gym, a school where I had been teaching third grade for 13 years, and I had no idea how much my life was about to change. What I could not have predicted as I walked to the podium after my name was called was that such a wonderful day would be followed by months of insecurity, discomfort, and sometimes even panic. Not only did I doubt that I should have won in the first place, but I also felt paralyzed about how to harness the privilege and expectations of the role. As a teacher of 16 years, I know how difficult it can be for us to seize leadership opportunities and showcase the expertise we have. But I also know that when teachers are able to harness their full potential, districts, schools, and students all benefit from their voice and advocacy. So I thought I’d share 10 tips to effective leadership that I have learned along the way. 1. Be comfortable with your accomplishments. This first step is easier said than done, but I had help from another wonderful teacher. 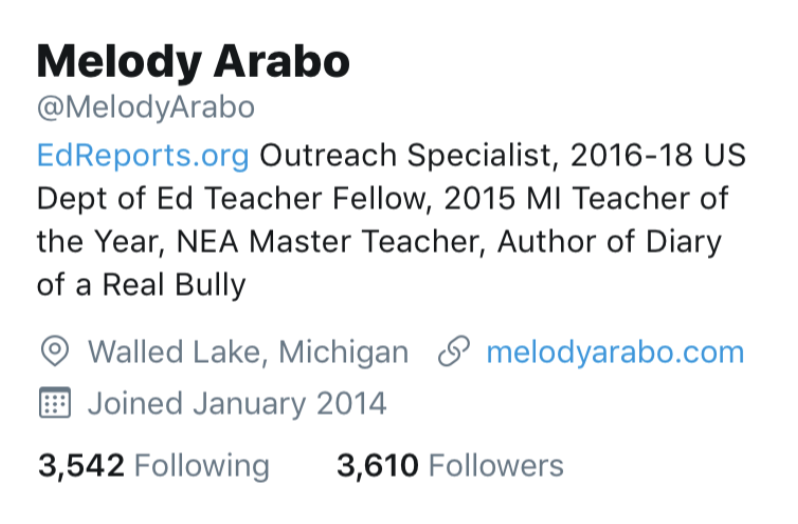 The 2014 Michigan Teacher of the Year, Gary Abud, advised me to consider my strengths and what I wanted to share throughout the year following my award. Through continued practice and Gary’s mentorship, I began to feel more comfortable about my contributions to education. The real beauty of embracing my achievements was that I could now share those experiences and learnings with others. 2. Identify your expertise and make yourself an authority in that space. I recently gave a presentation where I asked teachers “What is your area of expertise?” and had one respond that this was the toughest question posed to him in years. As teachers, we often downplay what we know and how well we know it. We can never stop building our personal knowledge, but it’s vital to also share the wealth of your experiences with others so they can learn, too. Decision makers will be more likely to come to us for input if we are recognized as the experts we are. 3. Define your platform through your passions. As a teacher, I developed a passion for high-quality instructional materials. When my district adopted the Common Core standards, I was excited because I knew higher expectations and more rigorous learning was important for my students’ futures. But as I worked with my colleagues we realized we didn’t have the right materials and resources to meet those standards. We were trying build a house with marshmallows instead of bricks. High quality materials became a focus, and I made the most of leadership opportunities to further my learning on the standards and the shifts. My mission was to gain an understanding of how to identify high-quality materials that would meet the standards and ensure students were on track for college and career. 4. Design professional business cards. Professionals in other fields exchange business cards when they want to stay connected. Teachers often exchange sticky notes instead and that can take away from legitimizing our profession. As you create your cards, be sure to include professional organizations. For example, are you a reviewer for EdReports? If so, make it visible and be prepared to talk to colleagues, district leaders, and other professionals about what this means. Shine a light on the expertise you have around instructional materials, and highlight the ways you further your learning through training and being part of review teams. 5. Create a professional website to showcase your leadership. The first thing many people do before, or after, meeting you is search for you online. A website can be a great way to build a visual portfolio so that others can learn more about your accomplishments, expertise, vision, and qualifications. Think of it as a virtual business card with greater detail and depth. 6. Start a blog to share your voice. Starting a blog seemed daunting at first, but it developed into an extremely empowering way to share my voice and thoughts on a variety of topics. It’s also a great way to advocate for your platform whether that’s writing about the standards and the power of instructional materials or sharing research and your educator experiences about bully prevention. 7. Develop a social media presence. There’s so much happening in the world of education on social media. On Twitter, you can easily interact with activists, policymakers, journalists, and fellow educators. But you have to take the initiative in creating a handle, following and engaging with influencers, and building your presence. Make sure to include a picture in place of the default egg, and list your accomplishments, areas of expertise, and interests in your profile so people will know what you have to offer. 8. Follow hashtags that are important to you so you can be a part of the conversation. I’m passionate about instructional materials and working with districts to strengthen adoption and implementation processes. As I look for conversations I can contribute to and learn from, I follow a series of hastags including #edchat, #commoncore, #ELA, #math, #science, #NGSS, #K12, #STEM, and of course my personal favorite: #MaterialsMatter. 9. Research education organizations and engage with them in every possible way. There are numerous education organizations that offer exciting, robust leadership opportunities. 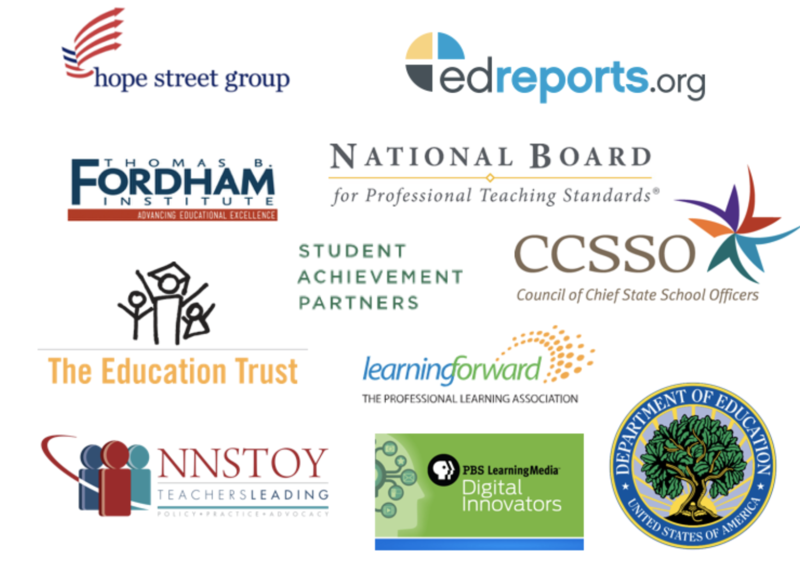 From professional learning sessions, trainings, and engaging conferences to year long policy fellowships and opportunities for research and writing, these organizations have something for everyone. For example, if you care about all students having access to quality instructional materials, consider joining EdReports as an educator reviewer. Whatever your passion, seek out organizations that help you develop your skills so that you can advocate for changes in your district and beyond. 10. Advocate for roles that don’t yet exist. So many teachers want to make a larger impact and take on leadership roles, but struggle with the idea of leaving the classroom. I believe we shouldn’t have to choose one over the other. Through my Teacher of the Year experience, I spent time as an instructional coach and worked with state leaders and policymakers. I missed teaching, but didn’t want to give up the leadership and learning opportunities I had outside the classroom. I partnered with a trusted colleague and pitched a hybrid position that would allow us to work with students, but also continue developing as teacher leaders through a fellowship we designed. Our district said yes and it was one of the best professional experiences I’ve had. The more we advocate for hybrid roles, the more they will be created, and effective teachers will not end up moving further and further away from students. Do you have leadership advice to share with other educators? Message me at @EdReports on Twitter or Facebook—let’s get your great ideas out to the world! Educators from across the country discuss the importance of their voices in the #materialsmatter conversation.